Year of the Pig? How about the year of the Snow Dragon?! 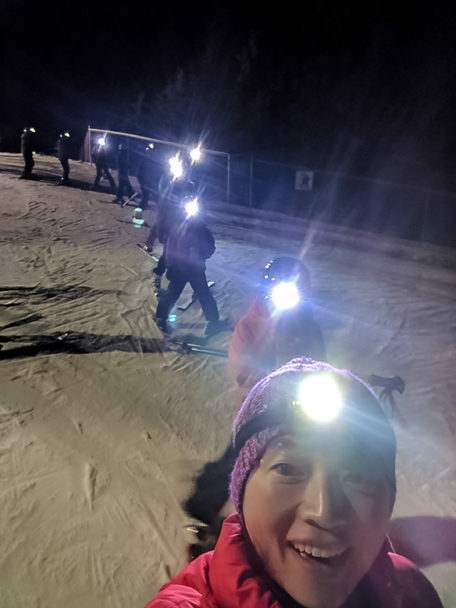 What better way to welcome the Lunar New Year than with a 300-person Snow Dragon ski group, all taking to the hills at Snow Valley in a coordinated run! Tony Li, of the Alberta Chinese Outdoor Adventure Club, wrote in to tell us about how the Chinese community in Edmonton is teaching newcomers about the many ways to get outside and enjoy our winter season. I immigrated to Canada in 2006 and selected Edmonton as my new home. But at first, I didn’t like the winter. It made me sad and frustrated until I learned skiing. Skiing changed me and changed my life in the winter. So I created a group on WeChat to encourage more people to try skiing. I was lucky to meet a lot of volunteers to host activities, one after one. More and more people had a wonderful experience of skiing and repeated my story again and again. Thanks to the success of our ski adventures, we created more WeChat groups with different topics such as movies, fishing, hiking, photography, snowshoeing, badminton, dancing, etc, even youth chess and choir and math etc. I even invited Jay Xu, a world-class diving coach and instructor with the Canadian Diving Team, to set up a diving club. Since I founded our club in December 2015, we’ve grown to have more than 3,600 members. We serve not only the Chinese community, but other Edmontonians as well. In fact, during our ski event, we were glad that some non-Mandarin-speaking friends came to join us and enjoyed learning to ski. 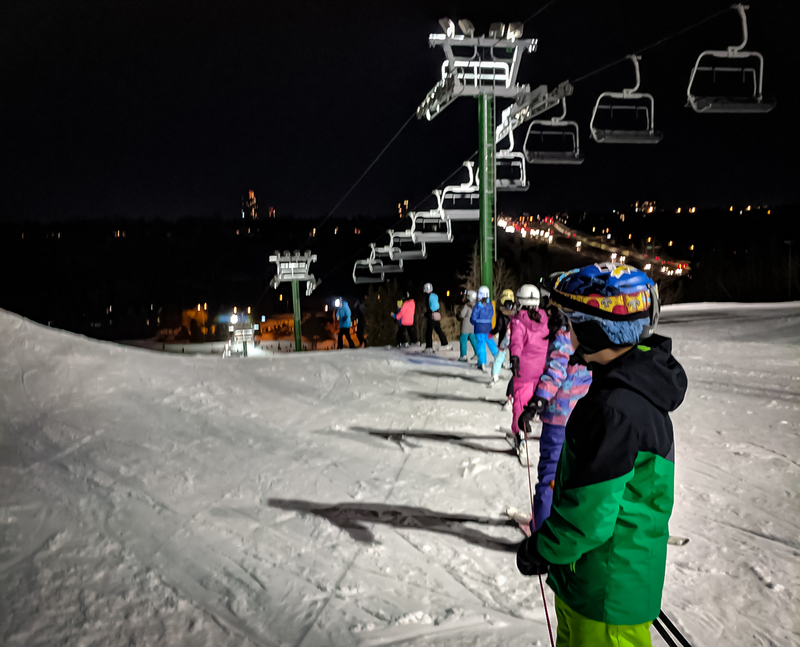 Speaking of that event, it was our fifth Lunar New Year group-ski event at Snow Valley. On average, there are more than one third of participants who are brand new to skiing. But I’m proud that almost all of them turned to love skiing after the event, and have learned to love the winter and love Edmonton as their new home. As a group, we are committed to also raising funds for various causes and communities. From the Polar Bear Plunge at Summerside Lake (where we raised nearly $1200 for the Special Olympics) to the Bikini Ride for Cancer at Sunshine Village, we love that we can give back to important causes in our new home town. If you’d like to practice your Mandarin, or get involved with the Alberta Chinese Outdoor Adventure Club, please check out their website. They have events throughout the year!